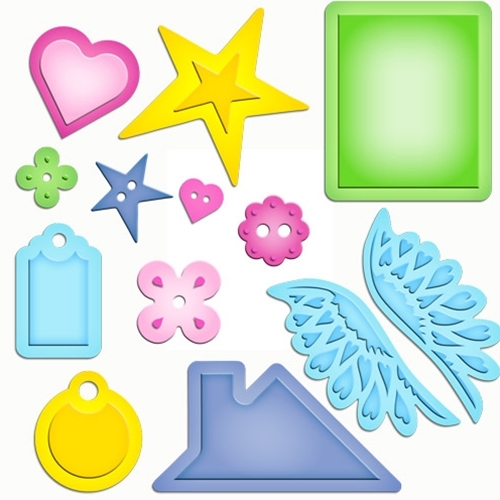 Welcome to the NinaB Designs first team blog hop of 2013! We hope you have had a relaxing holiday break and ready to join us for another year of inspirations and prizes! For this month's hop, Nina challenged the team to create a project with the LOVE theme, which can be interpreted in many ways: Valentine, Anniversary and Friendship. I decided to go with a Valentine's theme, considering it's the next big card giving holiday! I made two cards, a masculine and a feminine card. For my feminine card I used some of the cute heart and button stamps from the Sew Lovely Stamp set from The Craft's Meow. 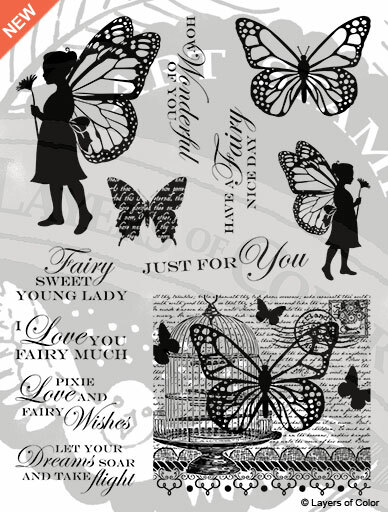 I created the background paper by repeat stamping the motifs using Memento Lady Bug and Rose Bud ink. I love a red and pink color combo! 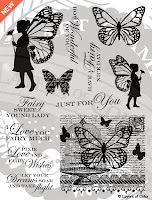 The sentiment stamp is from Nina's retired Sweet Silhouettes Layers of Color stamp set, I couldn't help using it, it was just the right size and I love that font! The buttons from the Sew Lovely Stamp set from The Craft's Meow made such a great patterned paper I can't wait to try out the other stamps in different colors! Masculine cards can be tricky so I usually keep them pretty simple but that doesn't mean they have to be boring. Here I created a negative die cut pattern using the heart die from Nina's Spellbinders Home Sweet Home die set. I used another sentiment from the same retired Sweet Silhouettes Layers of Color stamp set, masking one of the words 'young'. I embossed it in white. I added some foam pads behind the die cut layer for some dimension. Instead of lace I added some natural twine. Here are the products I used for my cards today (not including the retired Layers of Color set). Everybody is welcome to comment and be eligible to win. The winners will be announced on January 22 on Nina's Blog, where you will also find all the relevant info regarding the giveaways. Thanks for joining us today! Clare, your projects are beautiful, clean, and colorful! 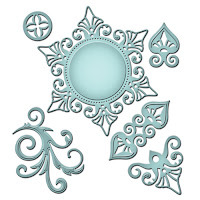 I am inspired to run up to my craft room and get started!! Just love those negative cut hearts. POP! Beautiful cards Clare! Love how you used the heart die!!! Both cards are beautiful, Clare. I love the masculine one with the reverse die cuts. Very Pretty cards. I really like the black and red one. VERY pretty! I Love the white background one and the heart punched one is simply very cool! I am inspired by both of these, especially the masculine card! The deep rich colors with the cut hearts is simply stunning! Love your cards!! 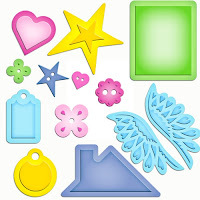 My FAV is the masculine one you made using the negative cut outs!! What a great idea!! thank you for the chance to win these prizes! My favorite is prize pack 1!! LOVE dies! Great cards! The stamping on the first is so precise and perfect and the second is so striking, love them! Both are fantastic cards, but the use of the negative space die cut hearts is so creative! Great cards. I especcially love the masculine card using the negative space. What a great idea! TFS. So Pretty Claire! I love the pink and red together and the lace trim. Beautiful! Thanks for the fun blog hop! excellent! Love the cut out hearts - great look. cute cards!! Liking them very much! Both cards are nice. I liked using of negative panel. 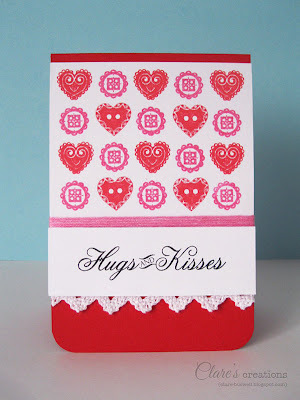 love these both--great die cut hearts and twine and great stamping and colors! Great cards! I especially love the pink one ummm or is the red one. I don't think I can choose! Both are terrific! I love both cards; but the masculine card is awesome! Awesome!!!!! I love those negative die cuts! What wonderful cards! 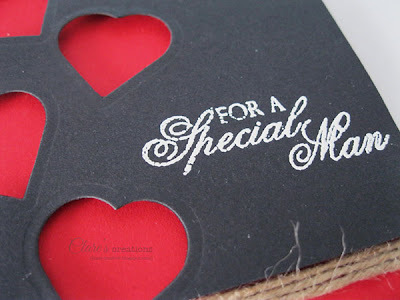 I so love the negative die cut hearts...and the black and red colors! Was wondering how Ireland is? Your country is at the top of my want to visit list! Ireland is great, it's a little cold and misty at the moment, the summer is the best time to visit, so you can really appreciate the wonderful scenery! They are both great !! I love your pink and red color combo . And the masculine card is just awesome . TFS . wow these are gorgeous! I love the sentiments! Great cards and thanks for showing a masculine and feminine version. I like the black one. A very cool idea to use the negative left from a die cut. Awwweee, I love the hearts, especially the cutout hearts! Great use of hearts. Like the cutout. Fabulous cards. Love the cut out hearts on the masculine one. Both your cards are lovely!! I really like the negative die technique. Wonderful creations! Thanks for sharing. Love the masculine cut-out hearts. Beautiful Valentines, I love these. Great Valentines Day cards! Love the hearts and buttons! Thanks for sharing! Clare i love your stamped dp, but the black and red die cut card is absolutely stunning!! Great designs! THNX 4 sharing.~Terry Y. You are one talented designer...both cards are beautiful. You rock even the CAS style. I love all the hearts! Thanks, Clare. Like the simplicity of both your cards. I really like both of these, especially the cut-out hearts. Both your cards are just beautiful. I love the buttons! Cheers. Wonderful cards! I love the black and red together. Very striking! And the crocheted lace piece sets the card off nicely! Love both of these sweet cards Clare! 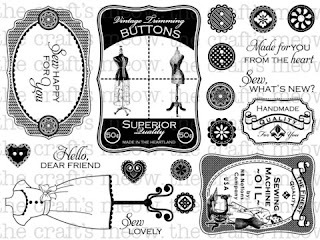 I always thought I needed that Sew Lovely set and now I know I do :) I love the way you cut the hearts out on the masculine card and let some of them go off the page - very creative! Fantastic cards. I like the heart cutouts. I love that negative space valentine. So pretty. Love the button stamps. Great cards. These are both terrific cards! Love your designs! Thanks for sharing. 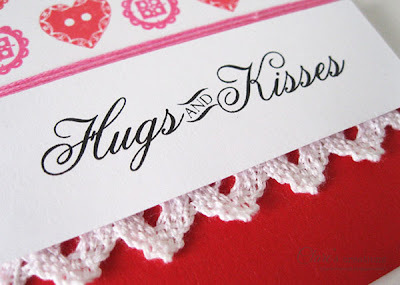 Sweet cards - love the button hearts!! Love the cards. And a great giveaway! love the graphic masculine card with the great negative die images. 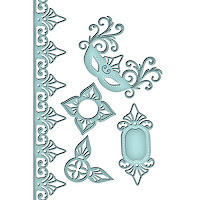 The second one is just perfect with the trim and shades of pink. what wonderful cards the heart cutouts are cool love them thanks for sharing your Beautiful cards. Absolutely love your heart button card!!! Love the cut out hearts, Looks stunning the red and black. These are super fun cards! Wow Clare you have some amazing stamping skills to create your own background with those button stamps. What a great masculine card too! Great Valentines Cards!! Beautiful colors and fancy designs. Thank you for the inspiration!! Love your black card, very stunning. 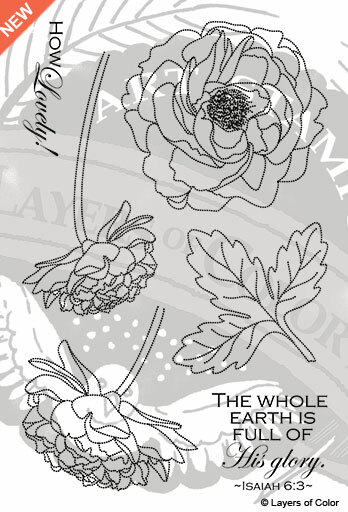 oh man everybody's embossing and mad die-cutting skills are killing me!!! I love the black layover on the red. 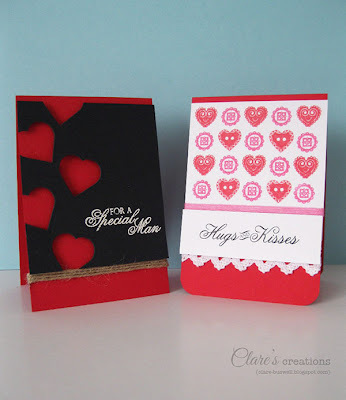 You bring classy cardmaking to a whole new level and inspire me TONS, Clare! How very delightful! Love the tucked in lace and twine you used. Beautifully done! I love how you punched out the hearts, and your art is absolutely lovely. Thanks for sharing and inspiring. 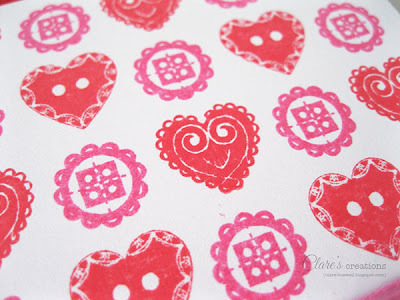 I am SO in love with the Sew Lovely stamp set and appreciate the chance to win. Thanks for this fun hop! Love your fun designs, lovely cards!! Great card layouts! 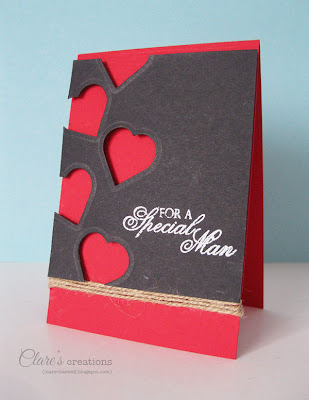 I really like the "man" card...great idea!